*Excavation and weatherization of the basement area is now complete. 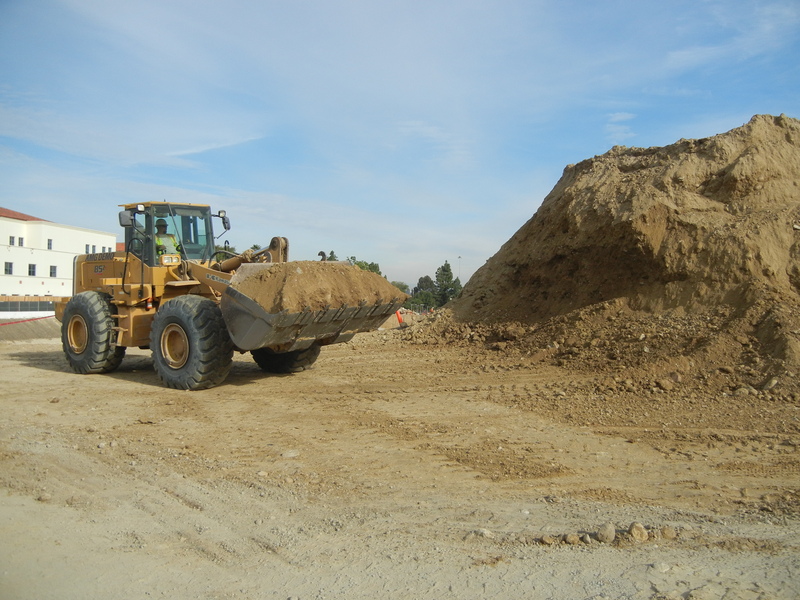 Workers are expected to start layout excavation for foundations beginning Monday. As Aztec Student Union's #1 Fan Emily Chamberlin Kattawar says, it's so smooth it could be named "Aztec Speedway." 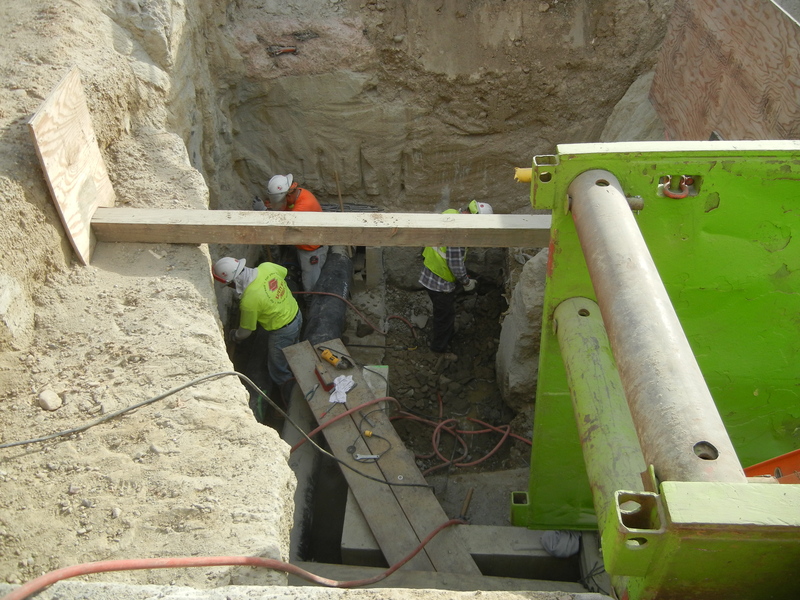 *With the basement area work completed, the first elevator pit is expected to be drilled tomorrow. The drilling will take place between the stakes seen in the picture below. This hole, which will be roughly 30 inches in diameter, has to go as deep into the ground as the elevator rises above the ground. For example, an elevator that rises four stories would have to have a pit that goes 40 feet into the ground. 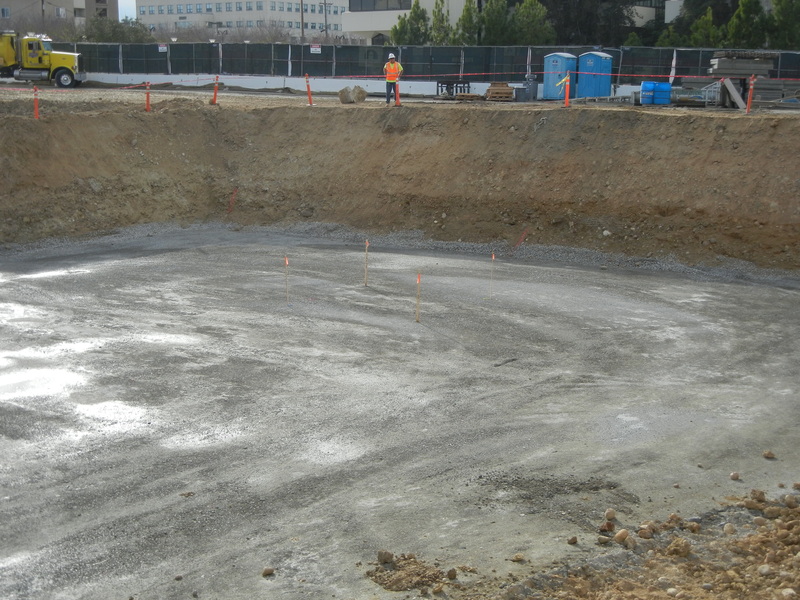 The first elevator pit will be drilled in Area D of the basement area (northwest corner). *Demo of the existing steam tunnel continues. The easterly point of connection of the northwest section of the steam tunnel. 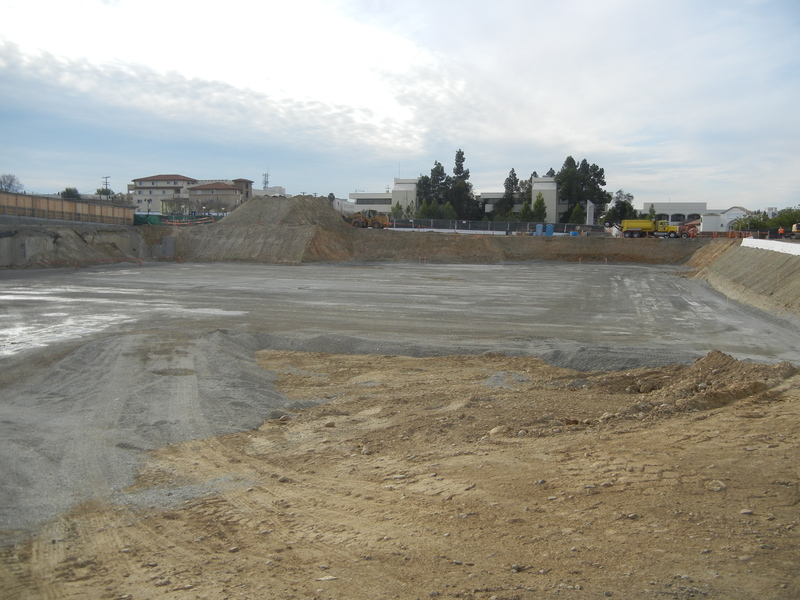 *Dirt from Mount Aztec is being hauled off to Lot W. The dirt currently lies in an area where workers will soon build an access ramp down to the southwest corner of the basement. Thus, the dirt has to be exported.